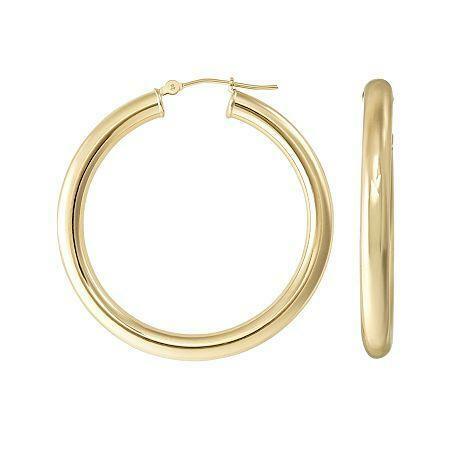 Sophisticated and chic, these classic 14K gold hoop earrings are a trusty style you can always depend on. Crafted in polished 14K yellow gold. Metal: 14K yellow gold Back: Hinged Dimensions: 2x40mm Jewelry photos are enlarged to show detail.